Anyone can cook a piece of beef, but how do you prepare the perfect steak? Journalist Marcus Polman (an avowed meatarian) visited the kitchens of the best steakhouses in New York and famous Parisian brasseries to find out. He spoke with professional butchers, organic farmers, chefs, and other culinary experts and shares their secrets for preparing mouthwatering steaks in this book. The differences in meat quality from various cattle breeds. The attributes, qualities and textures of nineteen cuts of steak. How to select the perfect cut at the butcher's. How to determine doneness and create beautiful grill marks. How to season, sear, pan fry, and dry age a steak. Perfect wines to pair with your perfect steak. The book also includes 25 world-famous steak recipes--from Impressive Beef Wellington to Steak Tartare to Steak Diane--and recipes for classic sauces such as Bearnaise and bordelaise. You'll also find recipes for the tastiest homemade fries and other sides. 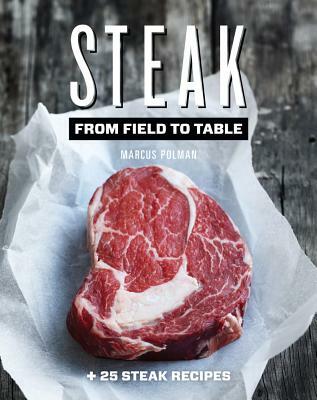 The advice in this book can transform your kitchen into your new favorite steakhouse. Marcus Polman is a culinary journalist and the author of the successful Dutch cookbook series The Perfect Cook. He writes about food, drink and other topics in Esquire.